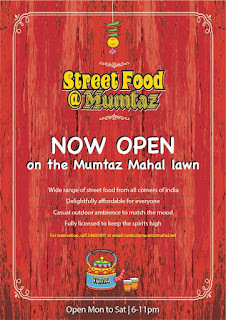 Every night in the week Mumtaz Mahal have been running a thing they are calling Street Food @ Mumtaz. 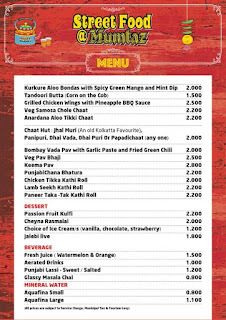 Basically the idea is to have an informal environment for an after-work bite to eat and drink. 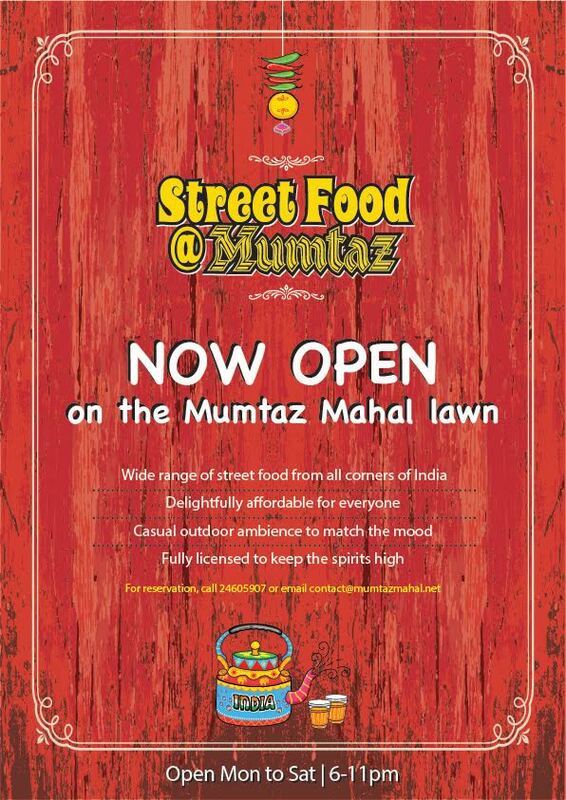 It's all setup on the lawns at the Mumtaz Mahal to take advantage of the cooler weather we're having now (22'C in my car this morning.. nearly put the heater on!). There is a special where you can buy a bucket of beer for RO 10, and you get one free starter of your choice.. otherwise the adult soda's are sold only in bottles at RO 2.8++ a pop. 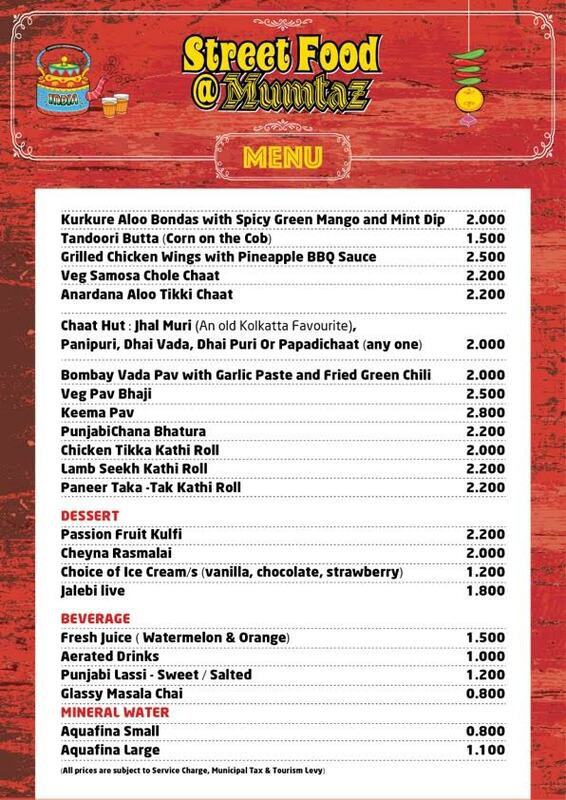 A copy of the menu is shown below. The thing runs between Monday and Saturday 6-11pm and no reservations are needed.